2-in-1 epilation and exfoliation system from Braun for flawless, radiant skin. 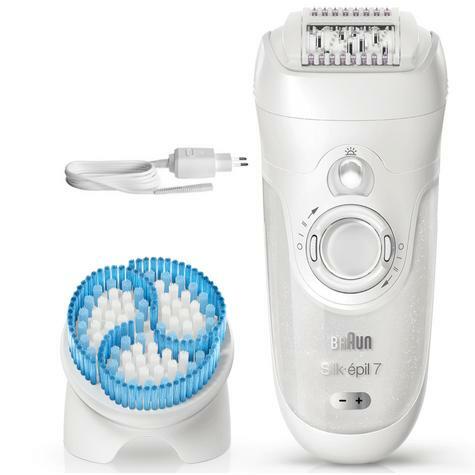 An epilator head gently removes even the shortest hairs, while the exfoliation brush reduces ingrown hair and visibly refines skin. The body exfoliation brush deeply exfoliates to reduceingrown hairs.